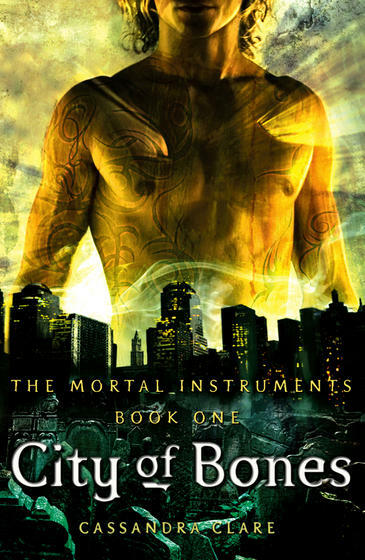 City of Bones is the first book in the Mortal Instruments series by Cassandra Clare. One night at a club, Clary stumbles upon three teenagers – Jace, Alec and Isabelle – who kill a boy they claim is a demon. She calls her best friend Simon for help, but neither he, nor the club security can see the perpetrators or the victim. The next day, Clary runs into Jace again and she receives a frantic phone call from her mom, telling her not to go back home again. Then her mom goes missing and Clary finds herself in over her head in a world that is suddenly filled with magic and demons, and intriguing Jace. City of Bones is an engaging read with a nice sense of humor, but it’s also way too predictable. But if you’re looking for the next young adult fantasy fix, you could do much worse. But I still liked her. And I loved Simon. Jace, on the other hand, is not so much my cup of tea. I was never one for the dark, abrasive, brooding dudes – and he is just that. But it was okay. At least he had a sharp sense of humor that I enjoyed. Alec and Isabelle were quite alright, though they were still lacking a couple dimensions. And I enjoyed the hell our of Magnus – I hope we get to see more of him. But I thought that the general mood of the book and the characters made up for that. Plus, the Silent Brothers, the tattoos and much about the world building was really cool. Summarising: Enjoyable, though not great. But I’ll continue reading. This entry was posted in books, female writer and tagged Cassandra Clare, City of Bones, The Mortal Instruments by kalafudra. Bookmark the permalink. … Plus: I’ve finished pride and prejudice and quite liked it (though I still don’t understand why so many people obsess over Darcy). Should we re-do “LG”-weekend in summer? And should we focus on female characters? I would love a LG weekend! And I have to come down to visit you soon. Maybe in April some time?